ER. Where did your interest in sound come from – you studied Anthropology and have a musical background right? EK. Right – it’s hard to say where the interest first came from, but having played instruments from an early age (piano, briefly mandolin, settling on trumpet, and during teenage years guitar) was certainly part of it, and playing instruments might explain developing an interest in the area of sound covered by pitch relationships/harmonies/dissonances. But what is it that makes one tune in to things like qualities of reverberation or timbre, or gravitate towards the weird sounds in music rather than melodies? Who knows? But later after I went to graduate school at the University of Chicago to look at different human approaches to living in the world, my long-standing interest in music and noise started to come into play there, and I started to wonder about how sound might function differently in different cultural situations. ER. And when/where did this merger of cultures and sound recordings begin to come into practice? EK. Well, when I did fieldwork in South India I made recordings as part of that research, but unfortunately I was still basically thinking of the recordings as documents which would function as illustrations for the things I might write, rather than making recordings with the idea that from these recordings I would compose autonomous sound works. It was only later that I realized that the latter approach is more interesting to me. ER. You say ‘later’ – was there anything that triggered that realization: a text, conversation, influence or experience? EK. No, in retrospect I suppose it’s just surprising that it didn’t happen earlier, that the parallel pathways I was on didn’t intersect sooner, though that’s the definition of parallel, isn’t it? Anyway, one of the paths was the music I was active in, electroacoustic/improvised/etc., which I considered abstract, and the other was the fieldwork and location recordings, which contain potential referents. So for some reason, the idea that a single sound work could move between both areas didn’t really strike me as something to focus on until I started tuning into the possibilities of experimental nonfiction vilm (film/video), and thinking of soundmaking in that context, and that happened after I started working at the Sensory Ethnography Lab and the Film Study Center at Harvard. My dual background in soundmaking/audio engineering and in anthropology led to that job – Lucien Castaing-Taylor, director of both the SEL and FSC at the time, felt that video people could benefit from the presence of someone who thought of sound first and prioritized it, rather than as is all too common in vilmmaking, to have sound be an afterthought, something that needs to be fixed in post. So working in this context was also influential to my thinking about sound in isolation as well, and about using location recordings in composition. ER. 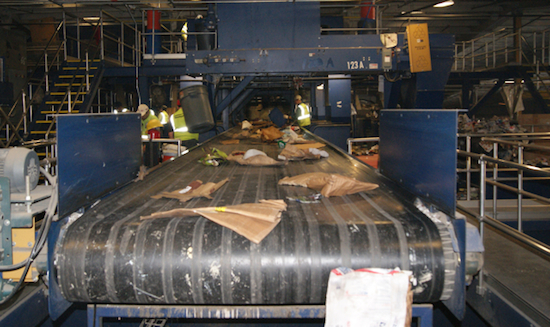 You seem to be drawn towards mechanical processes that somehow affect our everyday life. 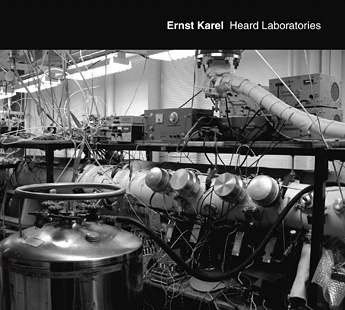 Could you talk a little about your work Heard Laboratories. EK. Right, one idea behind this project was that what’s going on in these very high-tech laboratories is basic research that drive the technological innovation on which “everyday life” has come to depend, insofar as everyday life has itself become so highly technologized in many ways. So these processes are going on in the background, and this project was a way to listen to those background sounds. ER. And this was developed at the Harvard Sensory Ethnography Lab, a programme you manage and lecture on. Can you talk about some of the work that goes on there and its influence upon your own practice. EK. I don’t actually manage the programme, just the lab itself, though I do occasionally teach in the programme – this spring I’m teaching a new practice-based class I developed called Sonic Ethnography. Most of the work in the SEL is in video, and broadly involves trying to use image and sound to convey something about lived experience in ways specific to the possibilities of sensory media, and which would be difficult if not impossible to do through language alone. Some of the pieces that have come out of the SEL I’ve been fortunate to collaborate on in terms of the sound edit and mix, including Lucien’s Sweetgrass (2009, with Ilisa Barbash) and Leviathan (2012, with Verena Paravel); People’s Park (2012, JP Sniadecki and Libbie Cohn), an 80-minute single-take piece which continuously moves through a crowded public park in Chengdu, Sichuan Province; Yumen (2013, JP Sniadecki, Xu Ruotao, and Huang Xiang), an abstract portrait in 16mm of a ghost-town in northwest China which was abandoned after all the oil was removed from the ground; and Manakamana (2013, Stephanie Spray and Pacho Velez), also shot in 16mm, which documents through a series of 11-minute shots (400-ft reels) the voyages of pilgrims and tourists on Nepal’s only cable car up a mountainside to the Hindu goddess temple, Manakamana. It was fun to work on cable car sounds again for this one, in such a radically different cultural context from that of Switzerland. So in terms of the influence on my practice, I would say that it reminds me to think of sound work in a larger context of aesthetic and investigative media practices, that sound work need not be only about sound. ER. I’m interested in this term ‘Sonic Ethnography’, could you unpack that a little? EK. That’s an open question, and the class by that name is not about teaching people to ‘do sonic ethnography’, but rather to find out what sonic ethnography might mean. We’re not totally in the dark; obviously there are referents including various nonfiction or ethnographic approaches to film/video, location recording practices, electroacoustic composition. ER. Could you talk through some of those references. EK. Backing up to include the audiovisual as well as just audio, the practice of making nonfiction work which goes under the names media anthropology or sensory ethnography is based on the understanding that human meaning does not emerge only from language; it engages with the ways in which our sensory experience is pre- or non-linguistic, and part of our bodily being in the world. It takes advantage of the fact that our cognitive awareness – conscious as well as unconscious – consists of multiple strands of signification, woven of shifting fragments of imagery, sensation, and malleable memory. Works of sensory media are capable of echoing or reflecting or embodying these kinds of multiple simultaneous strands of signification. Experiencing them constitutes an intellectual challenge for the viewer, who must actively bring their critical faculties to bear on the experience of the work, in effect to complete the work through their experience of it. Thus in his essay, ‘Visual anthropology and the ways of knowing’, the vilmmaker David MacDougall writes of the “exploratory response demanded by visual works”, or the principle of discovery at work in visual media, which is what calls on the experiencer to be an active participant in the work — “the discovery of relationships between images, linked not only by their proximity but by their resonances”. ER. And this applies to the re-presentation of sound? EK. MacDougall also talks about how with regard to notions of representation in anthropology, especially in so-called ‘visual anthropology’, and building on post-structuralist film theory, there has been a shift in emphasis from denotation to connotation. This includes, for example, anthropologist Stephen Tyler’s call for an evocation that “produces an understanding rather than an anthropological object” — a kind of understanding which is not separable from one’s encounter with sensory experience, an understanding which is relational, which is experiential — and in which subject and object are bound up, never disengaged. The knowledge which is created remains part of the experience, and not a separate or separable object. Viewing documentary vilms, or listening to ethnographic audio, is less a matter of communicating information, per se, and more one of constructing new realities. ER. I suppose sound is a little different in that you can’t necessarily put a frame around it? EK. Sound is arguably far less specific a form of representation than a visual image. If the moving image is the site of such a multiplicity of meanings, a richness of connotation, an openness to interpretation, how much moreso is that true for a sound work, unanchored by anything to look at? It is this aspect of sound that can render it an intellectually productive medium through which to work. Where the experiential nature of certain kinds of strong ethnographic or documentary vilm call for an active, exploratory response from their viewers, sound work asks even more of its audience. Hearing acousmatic sounds, their sources invisible, our minds fill in for what in some sense is ‘missing’ (cf. radio vs. TV). So the ‘sound object’ in anthropology is not an individual, isolatable sound; nor is it even the soundscape-embedded sound of acoustic ecology; but it is something that emerges as a phenomenon of experience. 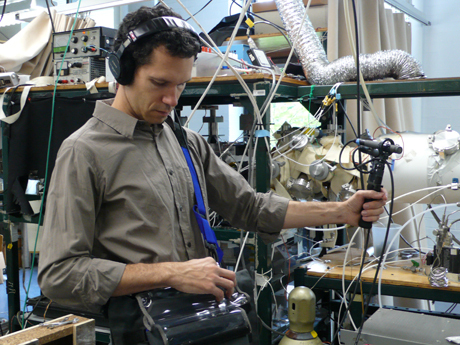 Listening to a work of sonic ethnography, giving over to the experience of letting sounds unfold in their own time, experiencing time as being constituted by sounds, allows for a sort of meditation on the subject or subjects at hand; one is not being shown something, but rather is presented with an opportunity to listen to something. The control of the maker is attenuated, and the freedom of the experiencer amplified. With sound work, a temporal space of productive ambiguity is created in which the mind’s associative or imaginative faculties may be fully engaged. There is the potential for the mind to wander, to create its own visual images, to make connections or associations, as well as the important possibility for abstract, ungrounded aesthetic experience — all these are aspects of human experience that can be evoked, represented, or enacted through sonic ethnography, coaxing the understanding of multiple kinds of knowledge, and generating a kind of critical awareness of the phenomenological grounds of aesthetic experience. ER. Swiss Mountain Transport Systems is CD that deals with many of these issues, can you talk through that project a little. the base station’s machinery; the slam of the door as the small pod swings around and, with a series of thuds, is launched into a sudden and subdued near-silence; the austerely beautiful low drone of distant motors transmitted through the heavy cable to resonate in the enclosed space suspended from it, interrupted periodically by rhythmic pummeling when the car passes over rollers; the open windows that allow transient acoustic glimpses of a vast surrounding landscape inhabited by humans and other animals. ER. So you focused on the cable cars but not just as sound objects per se? EK. Right, in the sense that there is really no isolatable “object”, but rather that there’s this much larger context in which everything exists in codependent origination. My hope was that SMTS would be at the same time (or at different times) great to listen to as sound/music, and a pointer towards this whole larger context in which the recordings were made. It’s a work of phonography, by which I mean a form of electroacoustic music in which the only instruments are microphones, preamps, and audio recorders. This emergent music can also be heard as a representation of place. I was intrigued not only by the sounds themselves, but by the cultural situation which they indexed. 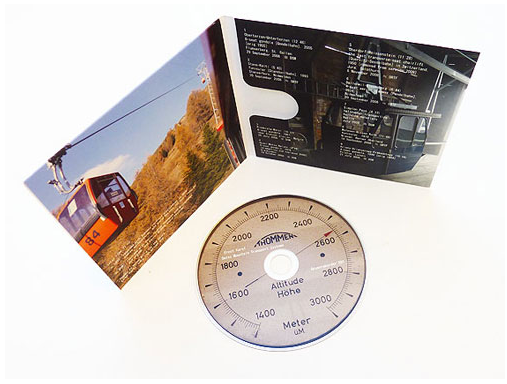 The unprocessed recordings of SMTS document the various transport systems which are specific to Switzerland’s mountainous terrain – gondolas, funiculars, chairlifts – of different types, of different vintages, and accessing different elevations, recorded from within these mostly enclosed mobile environments. 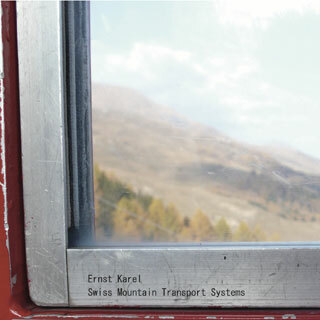 In this way the album can be heard as a sonic investigation into the integration of such technology into the Swiss social-geographical landscape. ER. Were you intending to re-create your own experience of the transport system or present it, if you like, through the ears of the cable car itself? EK. Definitely not an attempt to re-create an experience, but to present a new experience in a new context, though one that has an indexical relationship to the experience I had. 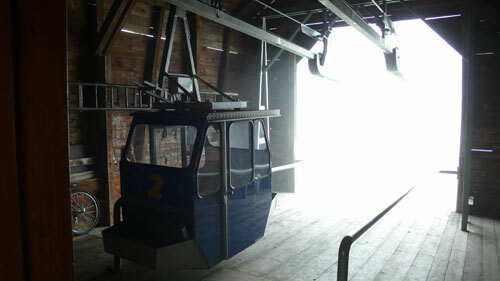 But the work resulted more from the experience the microphones had than from one that I, or even the cable cars, had. ER. Would you say your work is concerned with representing reality as such or something more abstract? To me, a work like SMTS hovers between both. Is that a tension in your work? The specificity of recording and the abstracted nature of its re-presentation? ER. How much of your recordings are improvised. I’m thinking here about when you’re on location. How much do you plan? EK. The process of recording is for me an experience of improvisation. When Frederick Wiseman is asked in Q&As about how much research he does before shooting, he says none, that the shooting is the research. But no matter how much research or planning one has done, when making the recording it’s really a matter of reacting in real time to what’s going on, listening, moving, reframing, making a live mix between the near and the distant, and so on. ER. You use the term ‘location’ recordings rather than ‘field’. Is this true? If so what do you believe ‘location’ gives that perhaps ‘field’ doesn’t? EK. I tend to use the term ‘location recording’ for what I do rather than ‘field recording’ just because for me it generally is a way of exploring a specific place, the specifics of a place, and that term seems to me to connote that a little more strongly. ER. I’m curious to know how much permission/ bureaucracy you go through in order to access some of your recording subjects. I’m thinking specifically of the recordings from Deer Island Sewage Treatment Plant? EK. For that project, which was done with the New England Phonographers Union, we were very fortunate to have a strong partner in the Massachusetts Water Resource Authority, and in particular the public outreach person there who took great interest in our project and took a lot of time to show us around multiple facilities. And that was not only about the recording, but we also did a couple of live quadraphonic performances, using only sounds recorded in the facilities, one concert in the historic pump station at Deer Island, and another outdoors, on summer solstice, right next to Boston Harbor on the grounds of the Nut Island headworks facility. ER. What are you working on at the moment? EK. Right now I’m working on another collaboration with Helen Mirra, the second of our continuing project called Hourly Directional Sound Recordings. These are related to her other walking-based work, described on her website. In January of 2012 we made the first one in the Arizonan Sonoran Desert, walking each day and stopping each hour to make a one-minute quadraphonic recording, each containing an audible marker of the direction our path was going at that moment. We showed this piece as part of Helen’s larger exhibit in the São Paulo Bienal, and while we were in Brazil, we walked nearly every day for three weeks to make a new piece, again stopping every hour to make a quadraphonic recording, with directional marker. We recorded this one slightly differently from the Arizona one, and we’re doing the postproduction on that right now. I’m also collaborating with Pawel Wojtasik and Toby Lee on a video-sound project called Single Stream that’s in a way an outgrowth of my Materials Recovery Facility project, and was recorded at the same site. I recorded the multichannel sound on location and am doing the sound design/composition. This will be shown on the extremely wide screen (8 ft high by 50 ft long) and four-channel sound system at the Museum of the Moving Image in New York this spring. I’m also working on a recording project having to do with fungi. EK. Oh, I suppose I go along with the Carsten Seiffarth-type definition of sound art as an exploration of sound in a particular space, and of the relationship of sound to and in a specific context of its hearing. The idea here is that it’s generally distinguishable from concerts/performances or published sound works. But the lines are not always clear, and arguably shouldn’t be, because more important than what things are called is whether they are interesting to listen to.